This is the richest, lushest face cream you will ever use. It's made in small batches using only the finest ingredients. This face cream actually permeates the epidermal layer and nourishes the skin. 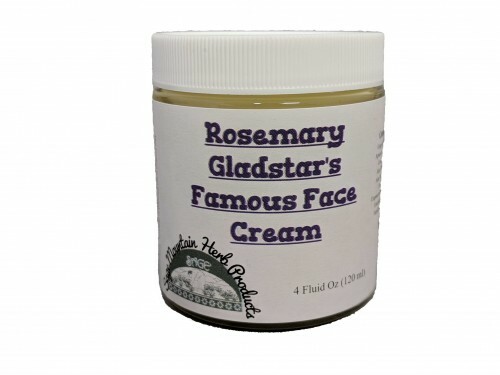 It is formulated by Rosemary Gladstar. It is also available in an unscented version for sensitive skin. Contains: Grape Seed oil, Apricot Kernel Oil, Coconut Oil, Cocoa Butter, Aloe Vera Juice, Aloe Vera Gel, Lanolin, Beeswax and Essential Oil of Vanilla and Amyris.